Engaging in experiential learning by participating in a corporate-sponsored case competition, leading a student organization, studying abroad, or securing an internship provides students with invaluable skills and knowledge. It takes the information and concepts students may learn in a lecture and makes it all "real," allowing students to apply their knowledge to hands-on experiences. Experiential learning demonstrates the fact that what students learn in the classroom matters, and empowers them to be influential leaders in the workplace and their communities. Get started by exploring the engagement opportunities that UConn School of Business has to offer, and remember to be strategic about your engagement! Student organizations strengthen leadership skills, teach time management, and are a great way to build friendships. 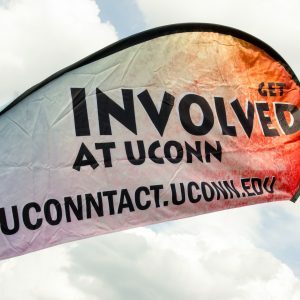 UConn offers hundreds of clubs and organizations, including a number of Business organizations.